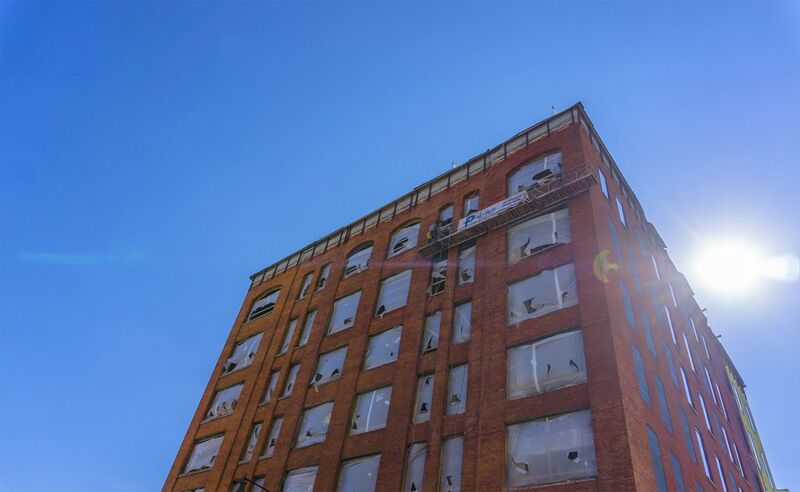 Since last Spring, CWD has been working hard on the restoration project at 37 Ottawa and 50 Monroe. 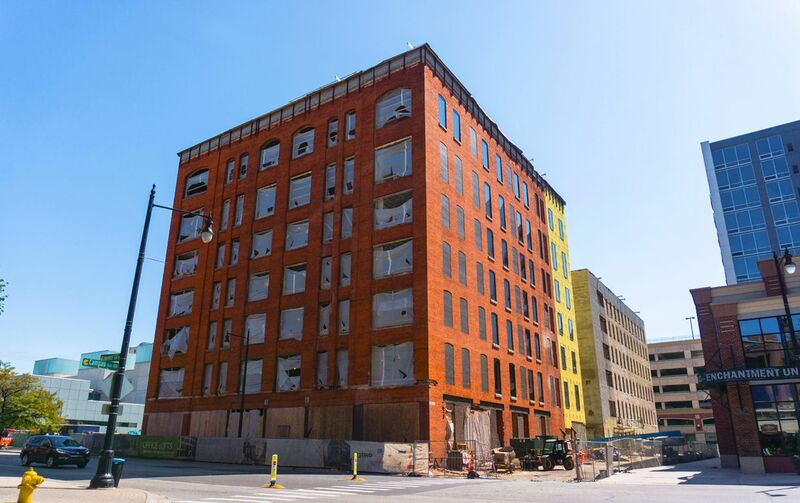 Both buildings have seen significant progress, paving the way for the AC Hotel by Marriott and sleek, modern office spaces in Grand Rapids. CWD is excited to share the progress made on the latest project in our portfolio. Read on for a full update on what’s happening at CWD’s latest redevelopment project. One of the major steps in the project is physically separating the two buildings.The buildings were first constructed back in the 1880s. After the renovations made in the 1980s, a facade was installed that has since been removed as a part of this restoration project. The atrium connecting 37 Ottawa and 50 Monroe has begun to come down, but won't be noticeable for another few weeks. This process involves removing the atrium little by little. Every panel of glass and every piece of steel will be removed individually starting from the top. The demolition began just before Labor Day, but results can already be seen from the alleyway between the buildings and 20 Monroe Live. While many following the projector have been intrigued by the "ghost signs" discovered beneath the facade, the original paint covering the buildings is in the process of being stripped from the buildings. After discovering the paints were lead-based, their removal seemed like a natural decision. Though it's not coming off without a little bit of a fight, the removed paint is being collected in tarps at the base of the buildings to be disposed of properly. Another major milestone is the window installation. Glass is beginning to go up along the 37 Ottawa's North Elevation (facing the corner of Ottawa and Louis). Windows on the 6th and 7th floor are the first to be installed. From there, windows will begin appearing in the 5th floor and throughout the rest of the building in the following weeks. 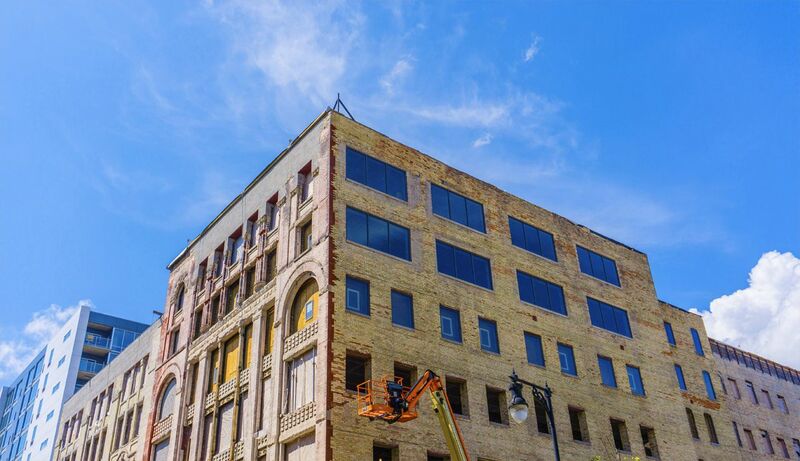 In addition to the glass installation, many of the windows throughout 37 Ottawa and 50 Monroe are in the process of having their sills restored and cleaned. The eastern building, 37 Ottawa, is the furthest along of the two projects. The office-building-to-be will be the new home to the Townsquare Media radio stations with more exciting tenants to be announced. A major milestone in this process is having operational elevators. The elevators shafts were constructed completely from scratch. Due to the buildings' separation, a number of mechnical systems needed to be installed for each, allowing both buildings to operate independently after the atrium is removed. Though the western building, 50 Monroe, still has quite a ways to go, the building has a lot of big developments on the horizon. The main projects to come is cutting out the AC Hotel’s entry way on the ground floor. But before the construction crew can get to cutting, they need to ensure that the building will remain stable during the process. To avoid problems, the building’s structural footing is being reinforced to hold the six floors of concrete above while the entryway gets cut out. 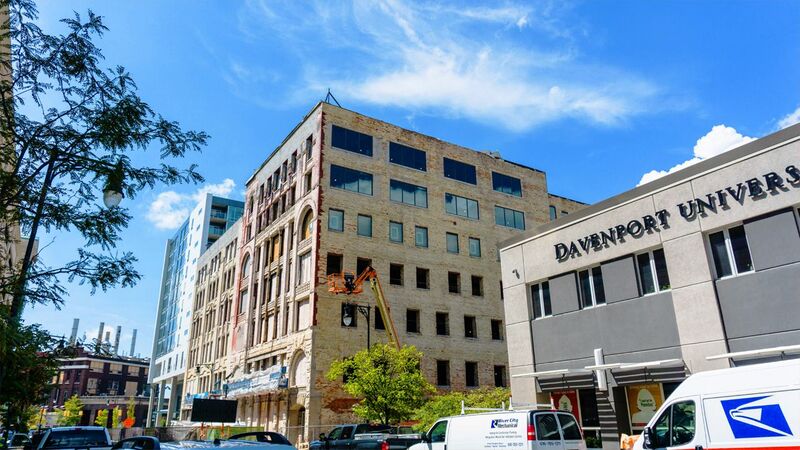 The progress made on 37 Ottawa and 50 Monroe thus far gives us high hopes for the future of real estate in Grand Rapids. The personalities of both of these buildings hints towards a shift in the voice and characteristics that will define the city. 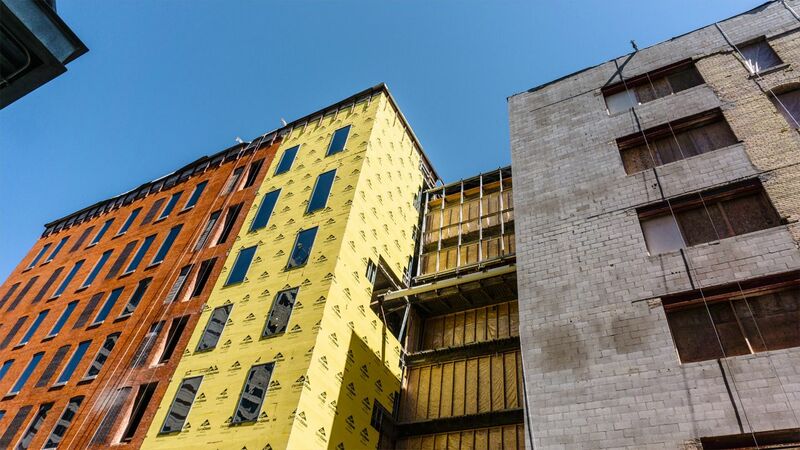 With so many new developments popping up across Grand Rapids, finding new, modern office or retail space for your company is easier than ever. But if you’re looking for a group that is as passionate about the community as you are, CWD has the resources and vision to get you where you need to go. CWD has a diverse portfolio of spaces ready to be leased in and around the city. 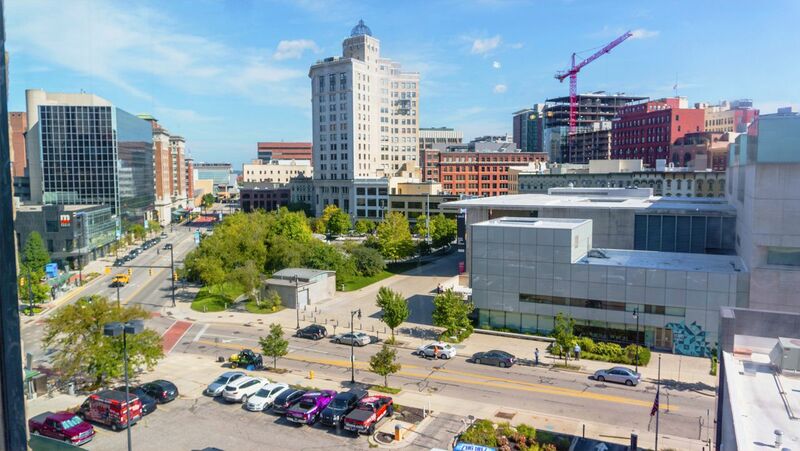 Whether you’re looking for commercial, residential or office spaces in Grand Rapids, CWD has a place for you. Contact us today for more information on available spaces.